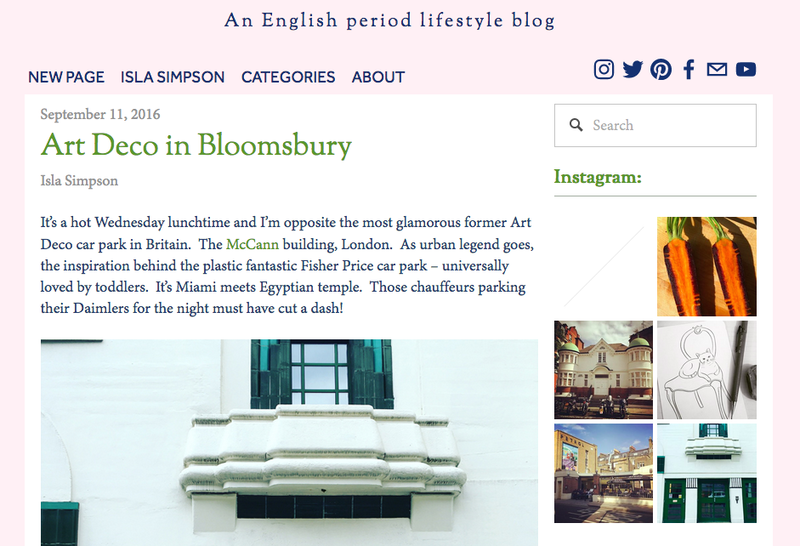 My ‘Art Deco in Bloomsbury‘ tour has recently been featured on ‘Isla Simpson’s‘ website. Find below a short quote from Isla and click on the picture to read the whole article. Find out more information about the tour on my ‘Art Deco in Bloomsbury‘ page. Yannick Pucci is an independent tour guide and founder of London Unravelled. All his public walks can be found on EventBrite and you can also follow his adventures on Twitter. This entry was posted in Press and tagged architecture, Art Deco, Art Deco Tours, Bloomsbury, Britain, Camden, Great Britain, guided walks, guiding, London, London Art Deco, London Art Deco Tours, London food tours, London Tour Guide, London walking tours, tour guide, tours, United Kingdom, walks by Yannick Pucci. Bookmark the permalink.